We cannot take requests for specific colors or offer any exchanges! Colors are a miscellaneous mix sold at a very discounted price. 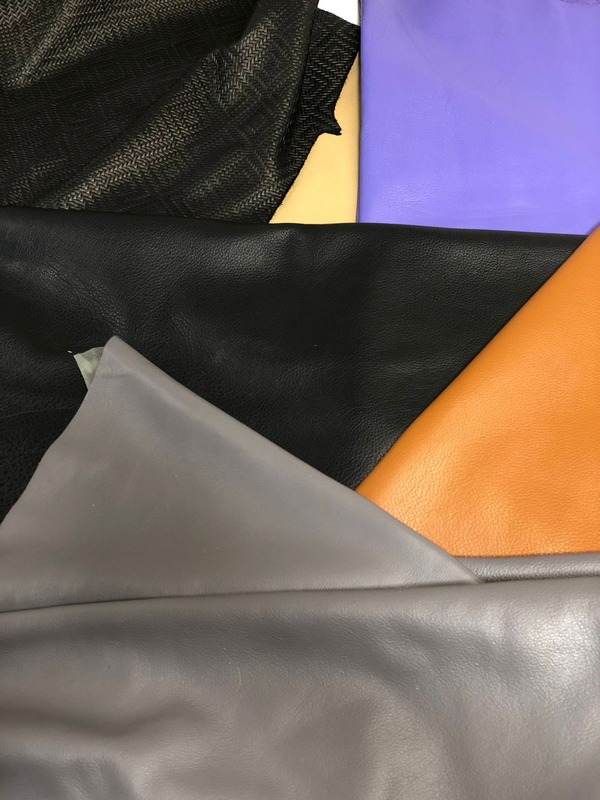 Our company produces leathers for the fashion industry - so we have a wide range of colors and prints. Please note, that the pricing is valued @ $40 per skin in a bundle due to this miscellaneous nature - so all sales are final. We can guarantee 3 cuttable, full grain cow skins with an average footage of 20 square feet. Each skin in a bundle will be a unique color. Received brown, navy and and orange color. All very high quality hides without many knocks, scratch’s or imperfections. fantastic selection! Love love love the tannery!